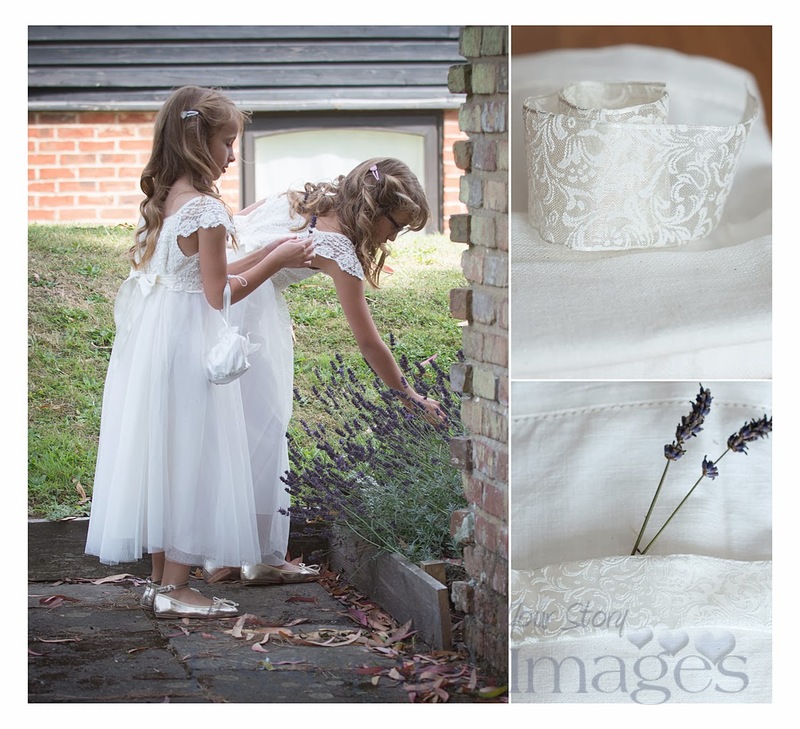 Little bags of lavender for the girls and now what on earth can we do for the boys? I wanted to keep the theme of lavender going through the bridal shoot as much as possible. 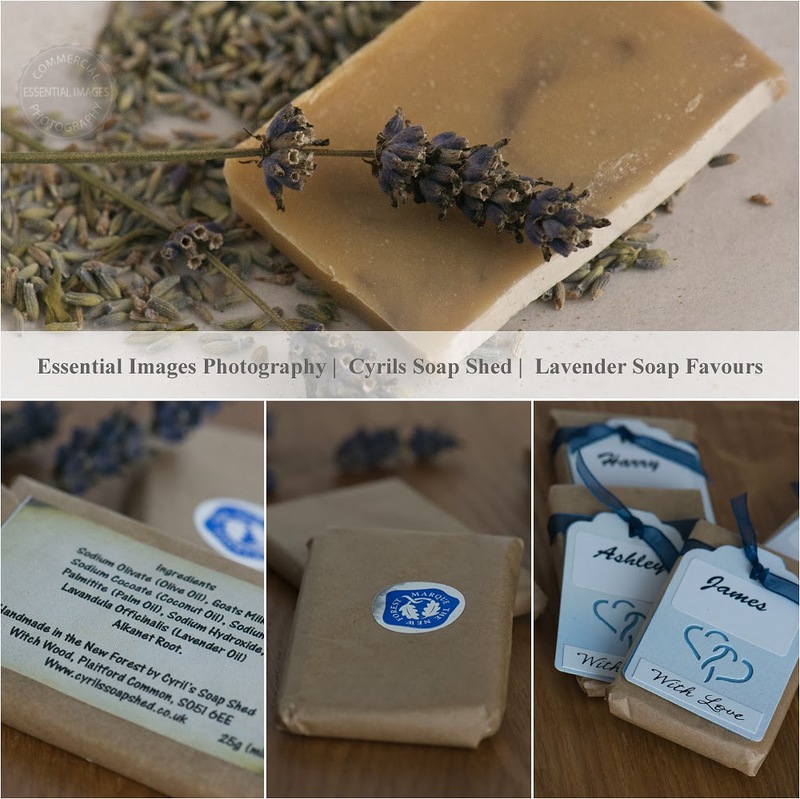 So with intensive searching online I came up with locally made New Forest Lavender guest soaps from Cyrils Soap Shed! Well, I thought, boys wash don't they? 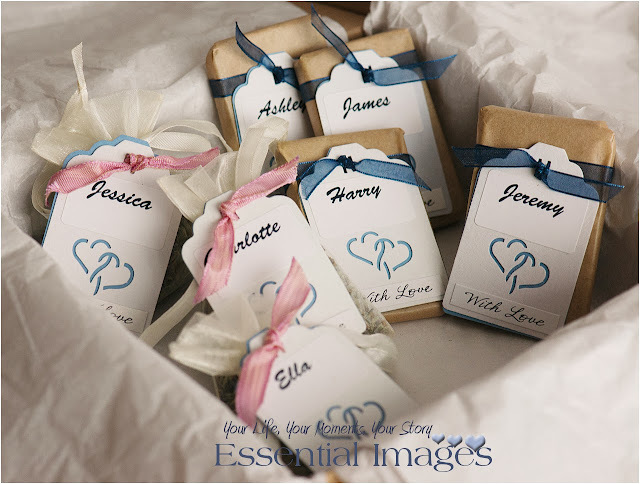 When the little soaps arrived I was so pleased with them! 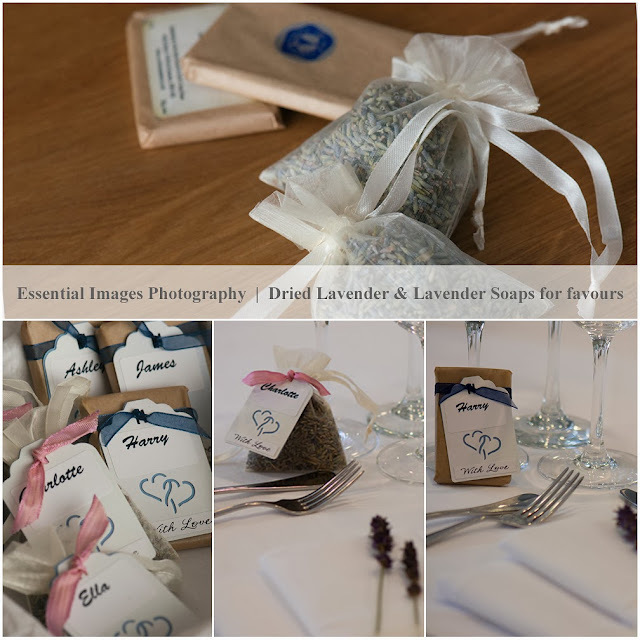 I could have unwrapped them and tied them with ribbon but the little labels that I had used for the dried lavender bags fitted perfectly on the soaps! Yep, quite pleased with that! Now just had to get on and do the rest of the labels and ribbons! By the way, if you are interested in how I did the labels....I have a label cutter and a double heart cutter (bought from Hobbycraft) and I also bought the little sticky labels saying 'with love' there too - oh and the pink and blue ribbons! Oh dear and I have a confession to make! When I arrived at Goodwood I found I had forgotten to pick up the lavender so lovingly picked from my son's garden! :( Thankfully Lord March had some growing in his hotel garden! Whew! And now on to the next stage of planning our bridal shoot!